It’s been several months since I last updated, and yes!, I’m still receiving my beauty subscriptions. 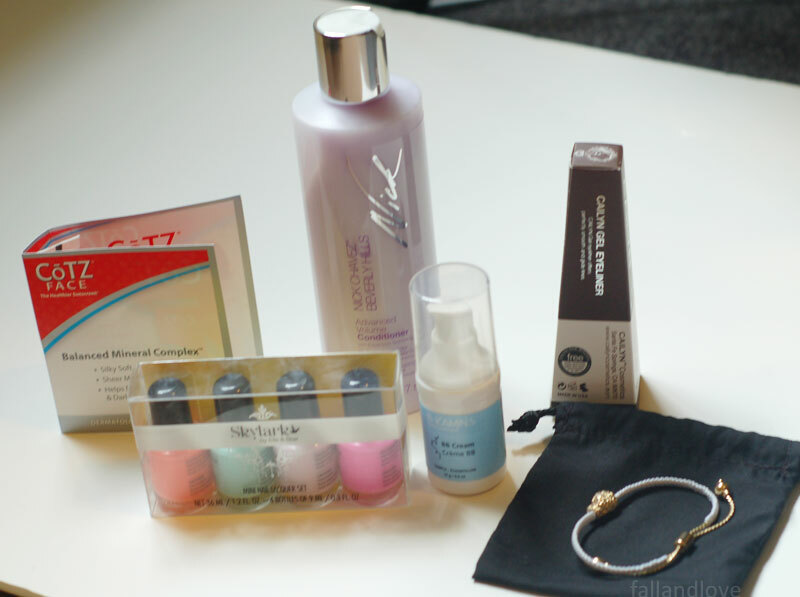 The main focus of my little blog was reviewing the services and all the types of products that come in them. It’s fun receiving all types of new, fun and exciting products, but after a couple of months, there are so many samples, bottles, vials, packets, etc. to try and not enough time to give them an honest review. The past few months have been busy and leaves not enough time for hobbies… But anyways, I think I’m going to try refocusing the content and reviews on my blog and making things a bit more easier to read and write. That means shorter reviews of single products, more swatches and photos, and hopefully better content! Thanks for reading! 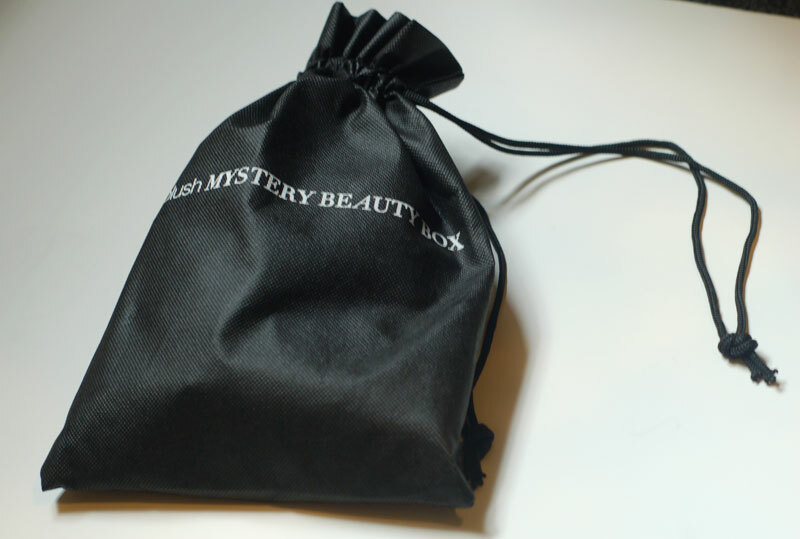 Blush aka Blush.com Mystery Beauty box is a monthly box, costing $24.95 for a monthly subscription or $34.95 for a one-time box. Each box is valued to contain over $100 worth of products that vary from hair, makeup, and skincare (usually). Blush changed from its usual packaging (which was none!) 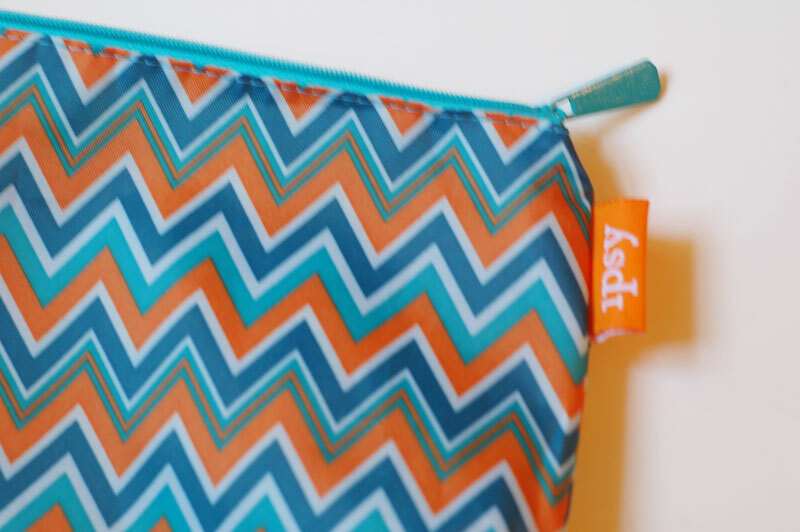 to having a new branded drawstring bag to hold your products and a postcard with the product listing (like BB or Glossybox) with detail about your items. This month was a little different, in that Blush has partnered up with the jewelry seller Baublebar to give out 1 of 3 bracelet designs. 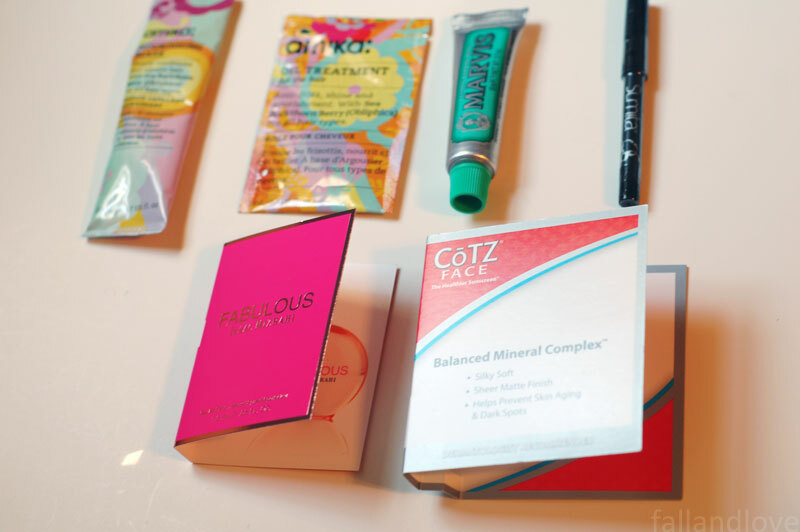 This month had six products + one bonus sample. 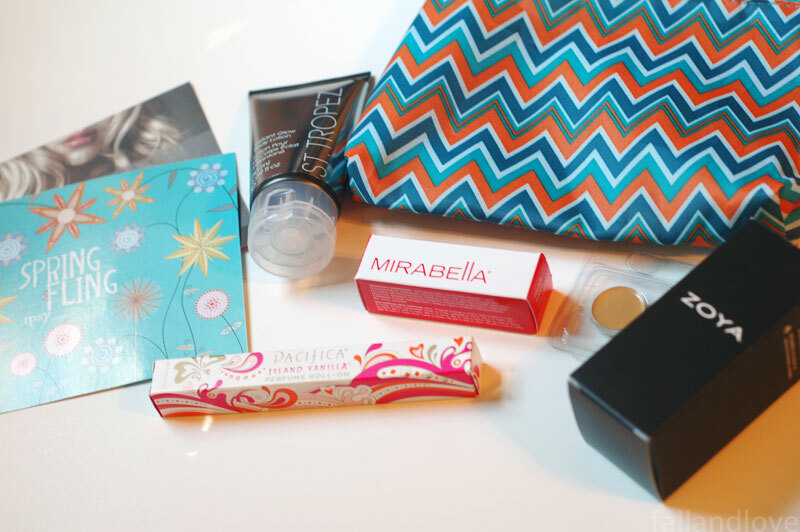 It seems like I barely get my last review for Birchbox up before the next one gets sent out. 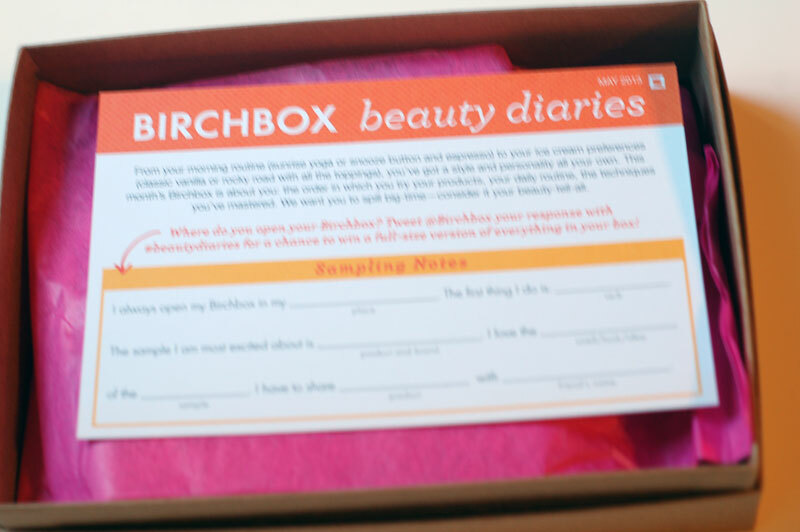 This May, Birchbox’s theme is Beauty Diaries and has a little bonus Twitter contest to win full sizes of everything in your box. Products laid out. The first thing I notice is the fun amika packaging! Six products this month. Two amika hair treatments, toothpaste, a mini eyeliner, perfume sample, and a sunscreen sample. Read on for more details. Happy May! The weather here is quite weird, having winter sandwiched between weeks of summer-like warmth and torrential rain showers. Anyways, did May’s ipsy glam bag impress? The theme for ipsy this month was Spring Fling and I was pleased with the colors and presentation of the bag overall this month. ipsy partnered with nine brands this month (ten counting the bonus Urban Decay shadow) and the Spring Fling card shows all the discounts this month you can see from your ipsy Glam Room. An extra card addressed to “my dearest ipster” had a NuMe code for $110 off Styling Tools and et cetera. I checked my email today and saw that my May 2013 Blush.com shipped today! For those who haven’t heard of the Blush Mystery Box, this is a monthly subscription service from the retailer Dermstore/Blush/Hairenvy (all under one company, different ). The pricing starts out with a one-time box for $34.95 or a monthly subscription for $24.95. There are a limited number of boxes available, so get one soon if you’re interested! 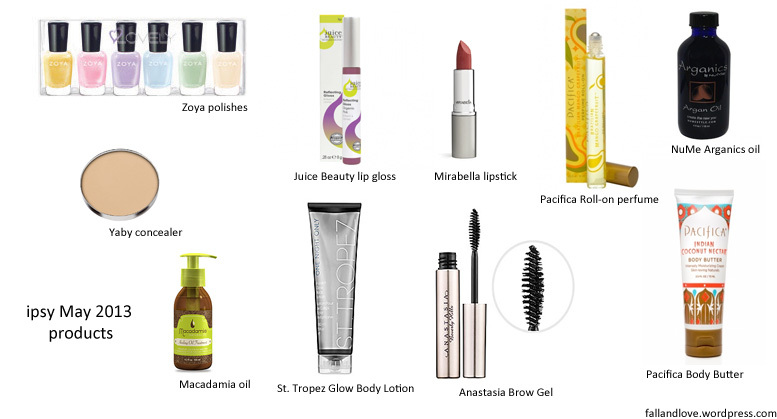 ipsy News: May 2013 Spoiler update! Still time to sign up! I would appreciate it if you use my referral link if you do! There’s been even more product variations revealed for May’s ipsy bag via Instagram/Makeuptalk/etc. and I just wanted to update the picture product guide to include details on the colors and scents. 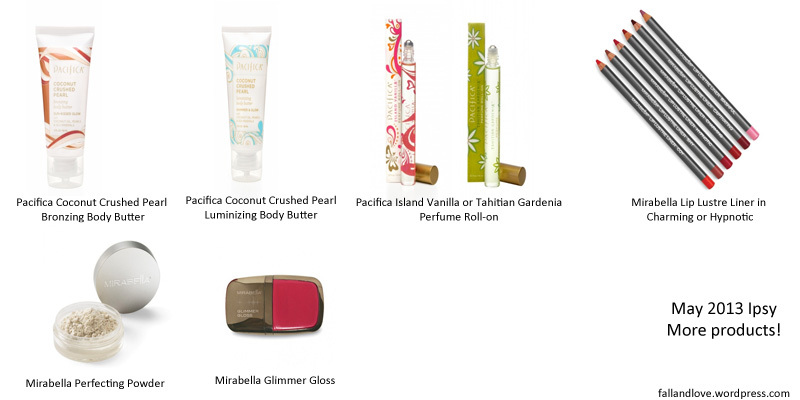 There are two types of coconut body butters (Bronzing vs Luminizing) from Pacifica, two roll-on perfume scents (Vanilla or Tahitian Gardenia) also from Pacifica, two variations on Mirabella lip liners, a Mirabella Glimmer Gloss (in Ruby Red? ), and a Mirabella Perfecting Powder. Four shades of pink lipstick from Mirabella are also being sent out too (no info on the names though yet)! Read my first spoiler post for more information on these items! Ipsy May spoiler! Edit: Bonus spoiler update post! I know some people like to be spoiled, and some people like being surprised! If you like being surprised, just close your eyes and scroll past this spoiler for May.